Clare followers will again be looking to Conor McGrath for vital scores in Sunday's league final replay Photograph by John Kelly. 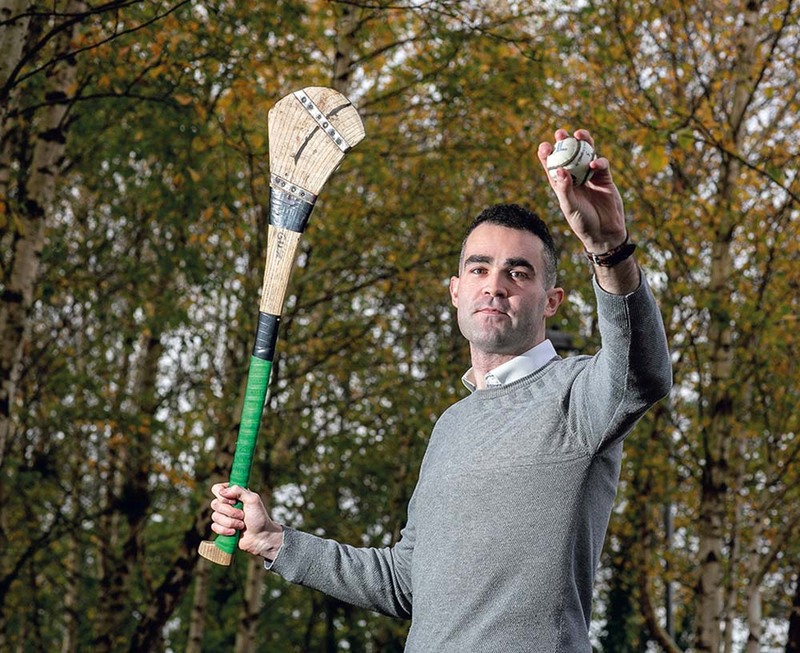 In the lead up to this Allianz hurling league final, there was huge speculation as to how the teams might approach the game given that they are scheduled to meet in the Munster senior hurling championship semi-final on June 5. Of all the possibilities discussed, no one mentiond the possibility of a replay. Now the teams find themselves preparing for another meeting, this time on Sunday next, after they played out a draw in a game that produced a poor opening half but whichimproved in the final quarter. In all the sides were level on twelve occasions and while both can point to missed chances over the course of the game, there is general agreement that a share of the spoils was the fairest result at the end of the day. This was, as expected, a very tactical game which was a contributory factor in the number of missed chances. At the end of a very poor first half Clare led by the odd point in thirteen. 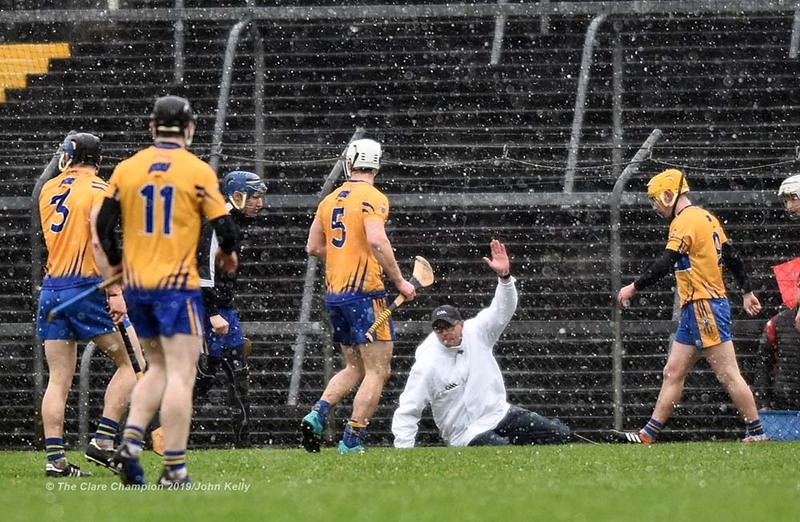 The game improved in the second half which ended with Conor McGrath pointing a 40m free from the sideline after substitute Cathal O’Connell had been fouled. McGrath was Clare’s scorer in chief with 0-13 on the day. 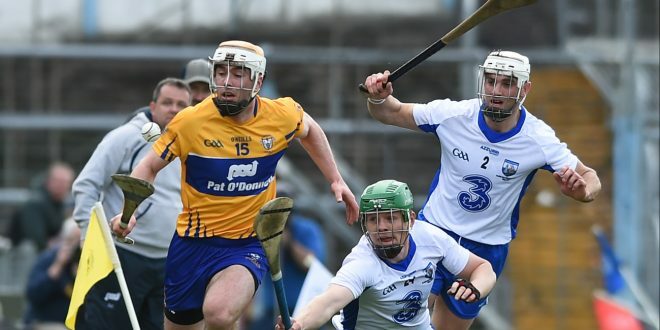 In extra time Waterford, playing against the breeze, made the better start and raced into a three point lead Things didn’tlook good for Clare but they fought back and had drawn level aty 0-18 each at the break. They had swapped points three times in the second period when Colin Ryan took a pass from Pat O’Connor and from his own half sent the ball between the uprights for what looked to be the winning score. 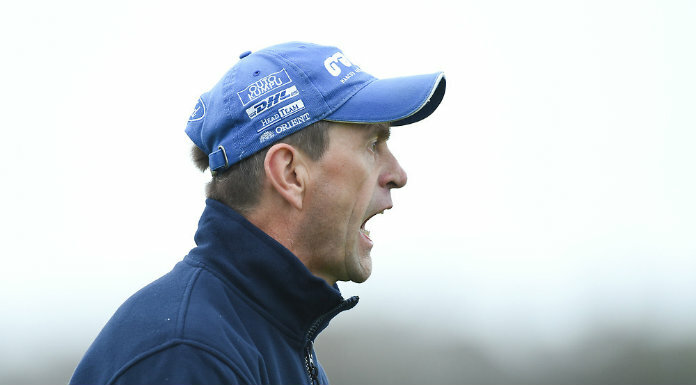 A minute of injury time was signalled and in this time Waterford were awarded a free inside their own half which Maurice Shanahan expertly converted to set up next Sunday’s replay which will take place at the same venue at 3.30p.m. A very tactical game was predicted and so it proved in the opening half which was a low scoring affair. The respective free takers, Conor McGrath and Patrick Curran exchanged points in the early minutes before Clare opened a two point lead with scores from Tony Kelly and another McGrth free. The sides were level at the end of the first quarter after ColinDunford and Austin Gleeson had hit the target. As the tempo of the game increased, Clare hit three unanswered points in as many minutes but Watgerford r esponded with three from frees to tie up the game at 0-6 each as half time approached. A Conor McGrath point from a 20m free separated the sides at half time after hehit the target from a free awarded for a foul on Aaron Cunningham.